DENVER – A for-profit mental health care facility in Johnstown has had its license downgraded as four state and federal agencies investigate claims made by employees and patients – both current and former – that it is committing insurance fraud and is providing little-to-no care for its patients while it continues to hold them at the expense of the families or taxpayers. The facility, Clear View Behavioral Health, has been ordered to make changes lest it risk losing its license altogether, and investigations into the facility are ongoing, several state agencies confirmed. The state’s actions follow several weeks of reporting by Contact7 Investigates. The investigations into the facility come as former patients and their families told Contact7 Investigates over the past few months that the facility was purposefully holding patients longer than necessary in order to try and glean more money from their insurance companies or Medicare, and reported short staffing levels and unsanitary conditions. Contact7 Investigates has also learned that state and federal agencies have conducted two unannounced visits to the facility over the past seven months, and that a 173-page report produced from the first visit and subsequent investigations has led the Colorado Department of Public Health and Environment to put the facility on a conditional license and implement a plan for the facility to improve its care, better-train its staff and determine proper staffing levels. The plan will take effect Friday. The concerns, which have so far prompted investigations by CDPHE, the state Office of Behavioral Health, Colorado Attorney General’s Office and the federal Medicare program, come after Contact7 Investigates interviewed more than two-dozen current and former employees and patients at the facility – many who agreed to speak on the record only on the condition they remain anonymous out of fear of retaliation. Clear View declined multiple requests by Contact7 Investigates to interview CEO Rick Harding and Johnstown police were contacted when Contact7 Chief Investigator Tony Kovaleski showed up to the facility in an attempt to speak with him. But the company did send a 10-paragraph response to this story attributed to Harding, in which he attempts to respond to some of the accusations raised by the people with whom Contact7 Investigates spoke. “As part of that commitment, we are always seeking feedback from patients and their families, as well as our employees. We take very seriously any concerns they raise, and use that information to help us improve our care,” Harding added in the statement. Current and former Clear View employees say they believe there is a pattern of the company taking advantage of mentally ill people and their families. A former Clear View mental health technician and a former nurse at the facility said they left the facility because of poor conditions for both patients and employees. And a current employee came forward with more details – saying she was willing to risk her job in order to expose what she sees as shortfalls in caring for some of Colorado’s most vulnerable. “It was always about the money or insurance. It just wasn’t about care – it was about how much we could get from that person,” said a former mental health technician, who says he quit after a year out of frustration over being paid just above minimum wage and working in what he said were subpar conditions. But he agreed to speak with Contact7 Investigates despite saying he was “terrified” of being retaliated against. He said that many of his co-workers came to Clear View from jobs outside of the medical industry – places like Walmart and PetSmart – and said they never received proper training. “What you need to know about Clear View is that their patients do not come first to them. They care more about money and what they get from it than their staff and the patients that go there to get help,” another former employee told Contact7 Investigates. “They are paying for therapy. They are paying to get better and we’re not helping them get better,” a current employee of Clear View said, adding that she knew she was risking being fired by speaking out. 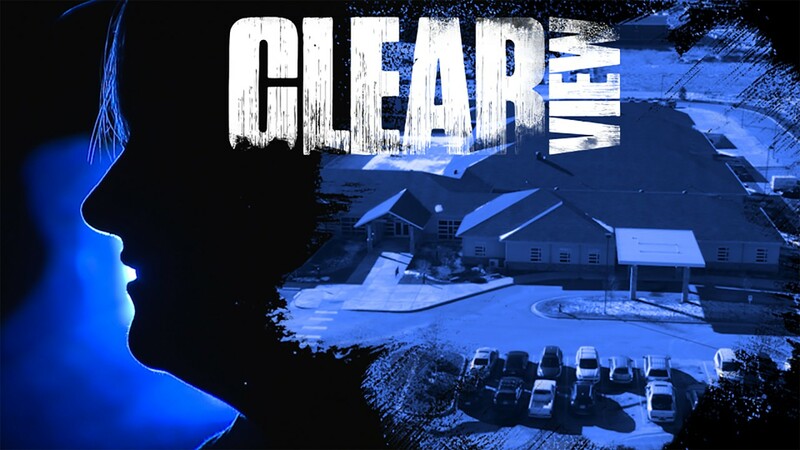 “It’s all about money, and it’s fraud and it’s not patient care,” said a former nurse at the facility who says she fears that her medical license could be affected by the multiple investigations underway at Clear View. Patients both current and former expressed anger and frustration at the situation at Clear View, while another said she felt like patients were being treated like animals or simply sources for money. A man named Mike, who contacted and agreed to speak with Contact7 Investigates on the condition only his first name be used, says his son, Trevor, was held longer than he wanted. Mike and his son’s saga with Clear View was detailed by Contact7 Investigates in a report earlier this month on the practices and conditions at the facility. His son, Trevor, said he “figured it out pretty early on” that the facility was holding him against his father’s wishes after he was admitted on an “M-1” 72-hour mental health hold following an exam at a hospital in Longmont and concerns from his friends. Mike says that after the 72-hour hold was up, his son had only met with a physician at Clear View for a few minutes but staff claimed that doctors needed more time to assess him – which would have involved a voluntary extension and a $1,000-per-day insurance bill for the family, Mike says. But the family hired an attorney, and Mike started recording his interactions with hospital management and staffers. And after the attorney told Clear View that the family’s insurance wouldn’t pay the money for an extended hold, Trevor was released. “It’s scary to know that you can get locked away indefinitely if you don’t know what you’re doing and what you’re signing,” Mike told Contact7 Investigates. Another woman named Brittney saw her father-in-law admitted to Clear View on an M-1 hold, but he claimed he was released after 72 hours without having ever seen a doctor and then had to be readmitted within 24 hours after complaining about suicidal thoughts and depression. “They maybe do a great job of keeping people longer than they need to be there and of collecting insurance money,” Brittney said. Another former patient said they felt they were ready to leave the facility during their stay but were told by a physician who hadn’t examined them that they were not ready to leave. And another former patient, who spent 10 days in the facility, backed up what some of the current and former staffers said about some of the other workers at Clear View. “The therapy groups were held by what I thought were high school graduates or, you know, minimum-wage employees,” she said. One of the former nurses claims that the administrators and brass at Clear View are behind the holds, and that the incentive to continue the holds beyond 72 hours stems from financial incentives. Contact7 Investigates obtained an internal email written by Harding, the CEO, that appears to show his response to an administrator telling him that Clear View was going to discharge 18 patients on two consecutive days and 23 total in a three-day span last week. “Let’s really see what we can do for the 23rd, please. We have to stop having 2 heavy discharge days in a row,” Harding wrote. When shown the email, the former nurse said her suspicions were confirmed. “[It says] that they are not worried about the patients at all – that they are worried about their census and the money,” she said. Contact7 Investigates has obtained a 173-page report that stems from the visit last July to the facility made by the state and the Centers for Medicare and Medicaid Services. The report details failures to ensure adequate staffing levels, which it says impacted patient safety. State regulators wrote that Clear View failed to properly investigate patient falls, injuries and suicide attempts, failed to provide adequate infection controls and failed to keep rooms in a sanitary condition. The report concluded that patients received care in an unsafe and unsanitary environment. The deficiency findings have led the state to issue two separate “immediate jeopardy” designations to Clear View – the most serious label regulators can hand out. “When immediate jeopardy is called, it means our surveyors and inspectors feel there’s an immediate threat to life and safety,” explained Randy Kuykendall, a division director for CDPHE. Contact7 Investigates contacted Clear View on multiple occasions this month seeking an interview with Harding but the calls were not returned. When we visited the office in Johnstown, an employee repeatedly said Harding was not available though his car was parked outside. Contact7 Investigates was then asked to leave the building and police were contacted. But on Thursday, before this story was published, a representative for the company emailed the 10-paragraph statement from Harding. He noted in the statement that the facility is accredited by the Joint Commission and that a recent review found it was up to the commission’s standards. He also said that the readmission rates at Clear View of 8.9 percent were lower than the national average – claiming that was an indicator that Clear View was providing good treatment. He also attempted to explain the admission, readmission and treatment process at Clear View. “It is important to emphasize that people admitted for in-patient behavioral health care frequently face substantial challenges that cannot be addressed overnight. It is one of our core responsibilities to determine whether a patient is ready for discharge, meaning that they are stabilized and have the resources and support they need after treatment. In the case of patients who are involuntarily committed to our hospital it is our legal obligation to make this determination. It is important to note that the staff at Clear View cannot involuntarily admit a patient – that is a legal process involving a medical professional and requires certifying that the patient is an immediate danger to themselves or others. Discharging a patient prematurely can make it much more difficult for them to successfully re-enter the community,” Harding wrote, in part. “We would also like to emphasize that we always do everything possible to guard the privacy of our patients, and have very careful policies about visitors to our facility as a result,” he added. The statement also detailed the notice of the new state action downgrading Clear View’s license to conditional. The facility will be able to operate under the license so long as it implements and follows the plan to improve the conditions and operations at the facility. The CDPHE is asking anyone with further complaints to contact its hospital complaint hotline number at 303-692-2827. The Colorado Office of Behavioral Health, part of the Department of Human Services, also confirmed there was an ongoing investigation into Clear View after it received two complaints in December about the involuntary hold process. CDHS spokesman Mark Techmeyer said the results are not complete since the investigation continues but that a report would be issued once it is finished. Despite the lengthy statement from Harding, several of the current and former employees said they felt he needed a reality-check when it comes to his own facility. “The fact that it’s the second time the state has been there in the past six months really says something about the facility, because it takes a lot for the state to go there and investigate,” one of the former employees said. And the current employee said Harding should take the state actions to heart. Editor's Note: Contact Chief Investigator Tony Kovaleski by clicking here or calling 303-832-0172.